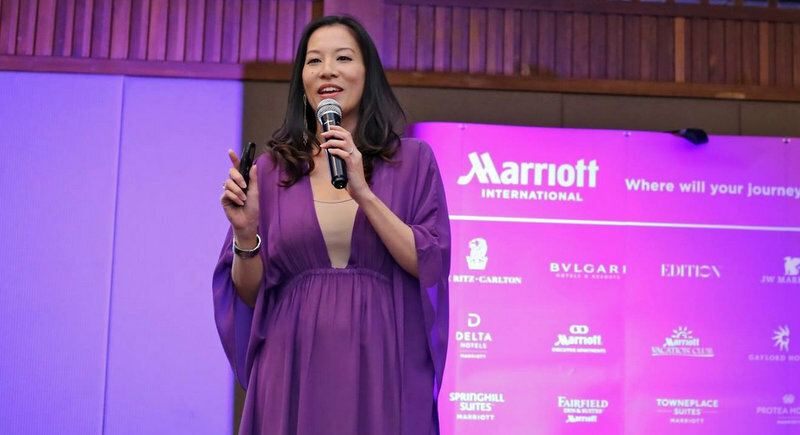 Phuket-based International TV presenter, News Anchor and MC Able Wanamakok, the driving force behind the recent Inspired Phuketian series of motivational talks, has embarked her next venture in the booming life-coaching industry with the launch of Find Your Voice Asia. Able Wanamakok is diving into the life-coaching industry with her new collaboration: Find Your Voice Asia. Through Find Your Voice Asia, Able is offering tailor-made coaching solutions for both groups and individuals who want to improve their self-confidence and communication skills, as well as promote their professional advancement and improve relationships with both clients and colleagues. Able says the idea arose from her work with experienced life-coaches Darren Scherbain, Alan Yip and Jay Jay Yankomut, each of whom gave Inspired Phuketian talks and are now collaborating with Find Your Voice Asia to offer their coaching services. “Inspired Phuketian enabled me to meet Alan, Darren and Jay Jay, and of course, other people. But I didn’t know that they were coaches until afterwards… I just thought they were really cool people who had something to share,” says Able. Able says that this is natural next step in the evolution of her 13-year career as a presenter and public speaker – one which she struggled to build against the odds. Growing up in the US state of Ohio, as the child of immigrants from Hong Kong, Able was the only Asian student at her school and faced racism and discrimination on many fronts. But rather than become bitter, Able says these challenges made her all the more determined to succeed and create a meaningful life for herself, though it was never easy. “I’m an immigrant, so my life hasn’t been easy… so to get everything I have today, it’s been a struggle, but I’m happy I have reached this level of success, because many people said I could not grow a successful career doing what I wanted from Phuket,” she says. “One of the main reasons I started [Inspired Phuketian] is because it had healing that I needed. From myself, from my insecurities… growing up in the States as someone who didn’t speak English. Prejudice and racism still very much exist in the world today… that encouraged me to not allow anybody to tell me what I can and cannot do,” says Able. It is precisely this can-do, positive attitude that Able wants to inspire in other people to help them reach their own dreams and goals. “I started Find My Voice Asia because it took me a while to find my own voice and own passions. I tend to help other people too much, I help my parents, my husband and so on, and often times I put other people’s needs ahead of mine and end up neglecting my own needs and my own path,” she says. Able says that the team of experienced coaches will enable her business to offer a range of services, from seminars for hotel staff on improving guest interactions and their English skills to one-on-one executive coaching for career and relationship development as well as group activities for kids to help develop their communications and story-telling skills. “Darren is a triathlon coach and all about positivity and motivation, Jay Jay is aimed at the Thai market only, Alan is more academic and about performance and memory and I’m more about public speaking and confidence – so we all have different things to offer,” she says.